By now, you probably have heard about the new 3D printer. You just input your design, and voila! You get the figurine, mask, or model you wanted. A CNC router is similar, as it will cut, carve, shape, or engrave on the material you want. It’s controlled by a computer, and the materials you work on can include wood, plastics, and metals. 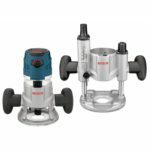 If you’re already familiar with a manual milling machine, then you’re just dealing with a computer controlled version. With the best CNC router you can afford, your DIY ability is greatly enhanced. What you have to understand is that there are several steps to using a CNC router. First you need to have a design, and if you’re making your own then you have to have a CAD program for that. Next, you have to convert your design to General Code (G-Code) format, and for that you’ll need a CAM program. Finally, you need to have a program to get your router moving and working. If you’re looking for one for heavy duty commercial use, then you’re going to need a lot of money. But if you’re just a DIY enthusiast, then you can start learning the basics with the following entry-level models. With one exception, they all cost less than $400. If the thought of assembling such an intricate piece of machinery seems daunting to you, then you’re in luck with the Piranha. That’s because offers the 3 most crucial words for the DIY-averse: Ships fully assembled. Still, you may be daunted by the price, which is about 4 to 5 times that of the other models on this list. But you really do get a lot for your money, besides the fact that it arrives already assembled. First of all, while the Piranha isn’t really a full-sized CNC model, it’s still much bigger than the others on this list. Consider the work area—it’s 12 by 13 by 3 inches! It offers 3D carving capability, and you can work on projects like plaques and ornamental boxes. You can also work with precision parts machined from wood, plastics, and soft metals. It’s so accurate that you can put in an engraving on your custom circuit boards. What will really get your heart rate palpitating is that it also comes with its own library of 3D models. So you don’t have to start from scratch. You can use the models from the library, make your own custom changes, and then have the CNC router carve your design on your work materials. You can easily do engravings, intricate inlays, and sophisticated corbels that can spruce up your home. This comes with its own touchscreen display, so you don’t have to put your PC in a dusty jobsite near your CNC router. You can work on the PC, save the design on the USB device, and then plug the USB device on the router’s USB drive. You can then use the touchscreen display to run your file, and with the work material in place you’re good to go. Now we come to something that in looks alone is very different from the first 2 models listed here. 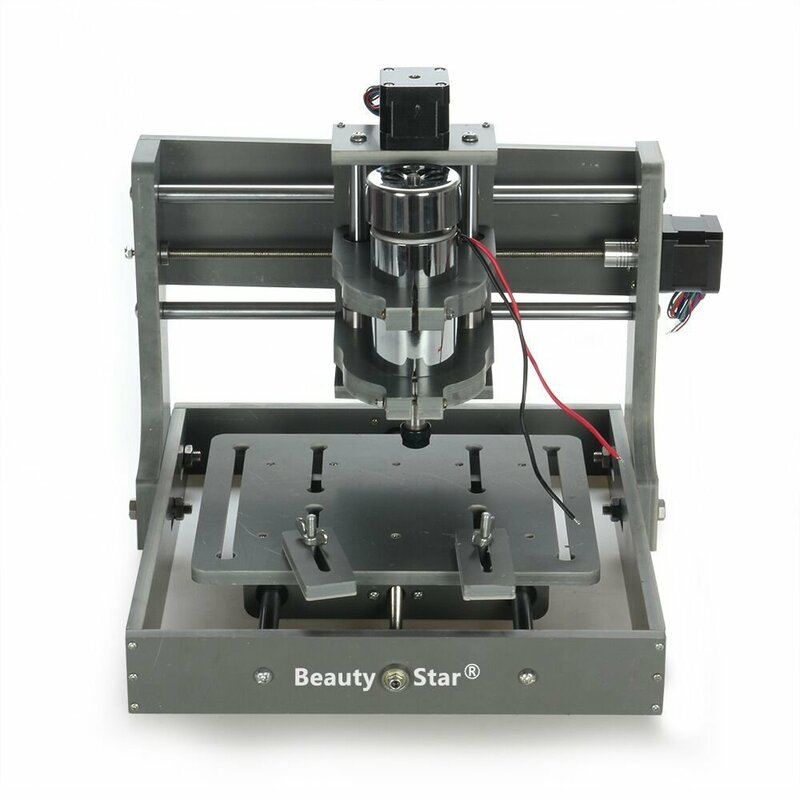 The Bohua 3 Axis CNC Router is mainly a tool you can use for engraving. It can work on a very wide range of materials, such as wood (including bamboo), plastic, PVC, PCBs, and duotone boards. You can also get it to work with metal surfaces, but you must keep in mind that this is not a milling machine. You can just use it to engrave on metal surfaces. These surfaces can be aluminum, copper, silver, or even gold. This means you can really personalize your own handcrafted jewelry. To work, just make sure that the thickness of the work piece is less than 70 mm. The work area is 390 by 290 mm. Since this tool is for engraving, there’s really no third dimension. It’s very easy to use, as its system allows you to position your material accurately. When you repeat an engraving process, the positioning of the new material is accurate within 0.05 mm. 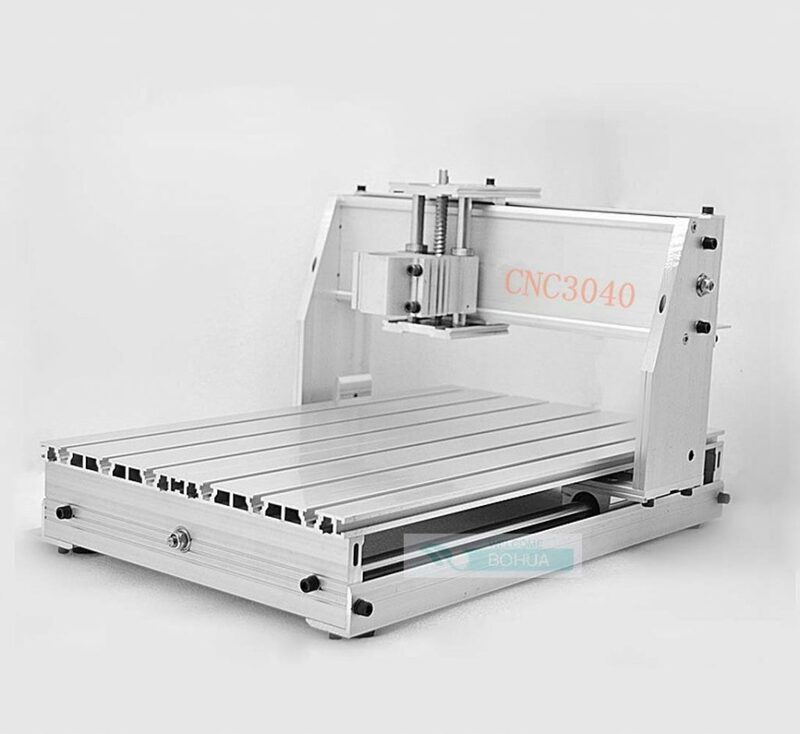 It’s a tough CNC router, as it uses high strength and precision aluminum alloy. Remember, when you’re engraving on metal that the results are pretty much permanent. So make sure that you put in something that you really want preserved. This can be an image, or a great quote. If you’re putting an engraving on a gift, make sure that the recipient will appreciate the thought behind the engraving. Once again, the seller assumes that you do have certain mechanical knowledge and all the necessary mechanical parts to assemble the Konmison 3 Axis CNC router so you can put this together properly. It also includes the software CD that contains all the programs you need so you can get your design carved into your work material. Again, the instruction manual isn’t exactly crystal clear, so you will need to work closely with the ever-helpful customer support people. They’re very helpful, and they can even give you links to videos showing this CNC router in action. But once you put it together, it’s rather exciting to work with. The software CD here is quite nice, since it works for Windows as well as with Macs. You can use this to engrave on materials like wood, or cut through plastics like acrylic. You can also do your own engraving with stainless steel and aluminum. You can engrave within a space of 5.1 by 3.9 by 1.6 inches. You can even use this to make your own prototype mold making machine. Carving on aluminum or brass is possible, but it’s going to be slow. In any case, the main challenge is getting this to work by putting it together properly. And for that, the customer support people are standing by ready to send you everything you need and they can guide you every step of the way. And once you’re done, you’re left with a pretty versatile machine that can cut, carve, and engrave on a wide variety of materials. The Komison CNC Router immediately presents you with the most common challenge in household CNC routers—the problem of assembly. Since it’s for a DIY hobbyist, it’s assumed by the seller that you have the knowhow and patience to put this together properly. But they do acknowledge the general difficulty, which means that you need to keep in touch with customer support. Your purchase provides you with all the mechanical parts needed for this CNC router to work correctly. In fact, it also includes an information CD that contains the software you need. You can install the programs in your PC, and then you can get to work. The motor for this CNC router is quite powerful, with 300 watts producing 10,000 rpm. It can move at a max speed of 4,000 mm per minute. It can work with dense wood pieces with no problems, and you can carve wooden shapes and letters easily. It exemplifies the advantage of CNC routers—you can produce exactly the same shapes, much like you can print out the same documents on your PC printer. You can in fact work with wood, plastics including Corian, metals like brass and aluminum, and even printed circuit boards. The detail it can produce in its engravings and carvings can be fantastic. The working area on the CNC router is 200 by 200 by 70 mm. The programs will work for various Windows computers. This includes Windows 7, 8, and 10 too. Just get it assembled properly, and you’ll be pleasantly surprised by how well it works with various materials. 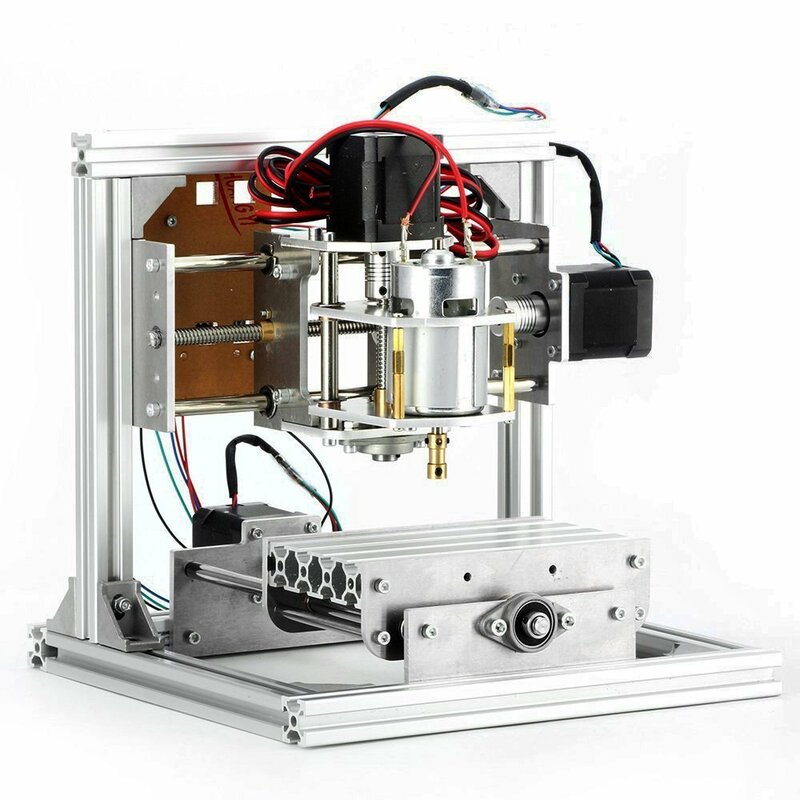 In many ways, the Lukecase DIY CNC Router is very similar to the Konmison DIY CNC Router. The components and the specs seem to tally to the last detail. The work area is exactly the same, at 200 by 200 by 70 mm. Even the prices are very similar. 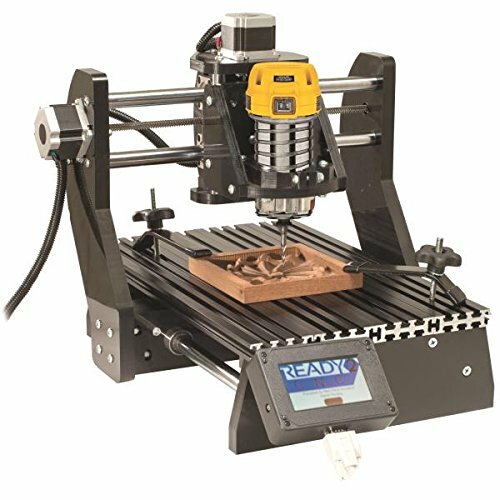 Go online to the ecommerce sites that sell the 2 CNC routers and even the look of the model is almost the same. This seems like a less advertised product, though, as it’s not yet quite as popular. 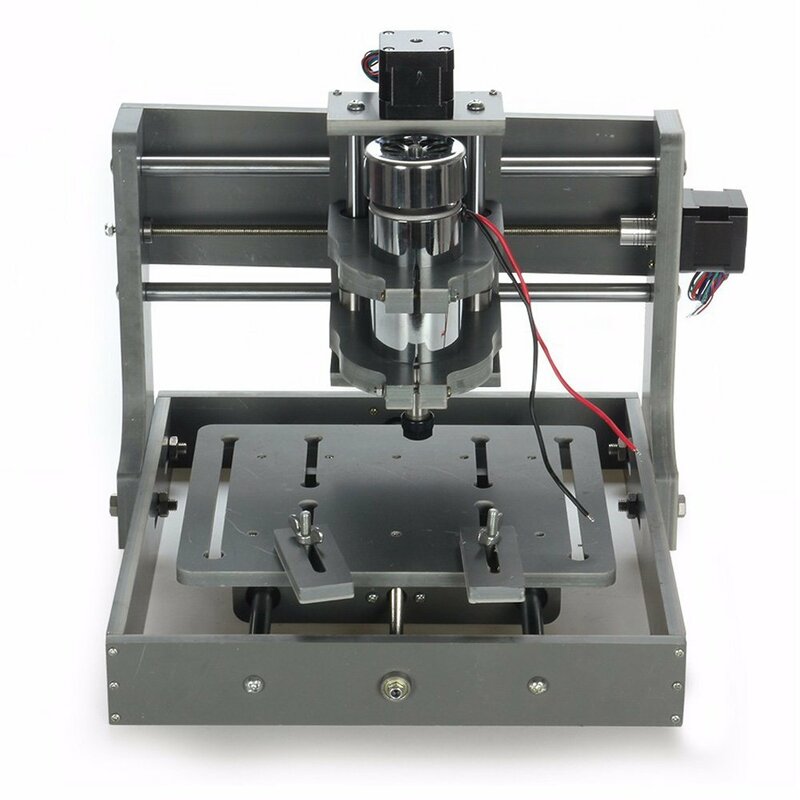 However, just as Konmison DIY CNC router is wised up and fixed its assembly instructions, you should have no trouble putting everything together. It also comes with an installation manual in English, although part of the purchase includes an information CD that provides instructions as well as software installers. With this CNC router, you can do some work on wood materials and produce detailed carvings. You can also do some engraving on PVC and printed circuit boards. It comes with a USB interface, with proper support for both desktop and notebook computers. It works for Windows XP computers, or even for Window 2000. That’s still a lot of PCs, mind you, since you can still find Windows XP in 9.36﻿% of desktop PCs. 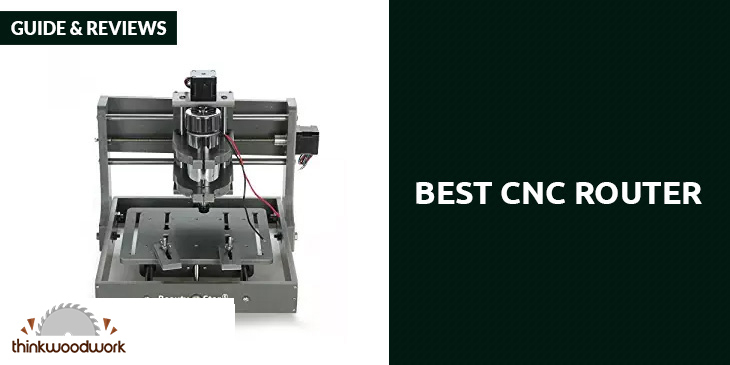 Whether you want to dip your toes into engraving and 3D wood carving, or you want to be productive right away, we have the best ﻿﻿﻿﻿CNC router﻿﻿﻿﻿ models here on this list. These can start you off right, and your DIY capabilities can really increase in a hurry!